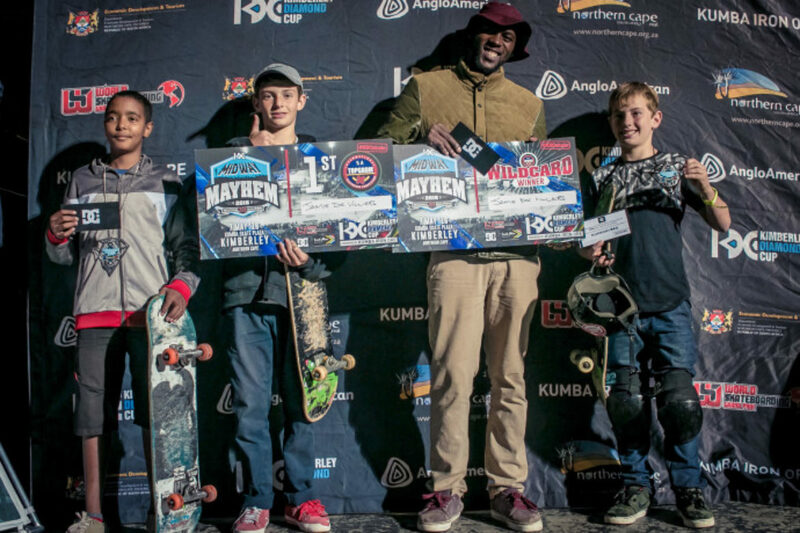 The 2nd KDC Grand Slam of the 2016 season went down at Midway Mayhem at the Kumba Skate Plaza and brought out several local skaters and bus fulls & car loads of skaters from around the country alike for another incredible weekend of skateboarding and camping. While the weather was a little cold and the rain was a factor to fight against, the skateboarding was amazing as expected. 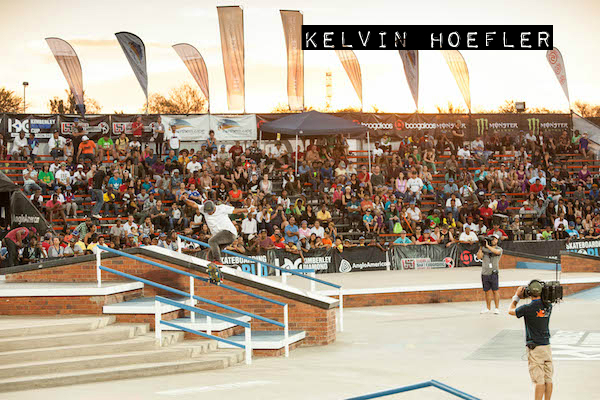 With skaters coming from as far as Botswana to make the mission, everyone was super hyped to be a part of the weekend together and enjoy one of the best skateparks on the continent, hassle free. As a regional qualifier event for the Kimberley Diamond Cup main event in October, wildcard entries were awarded to the top 5 previously unqualified skaters in each the TopGrom (13-) and Open Div. 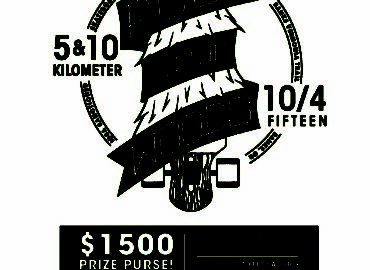 (14+) categories and the top Rider Cup team advanced to the Rider Cup Championships. As skaters from all over the country are hungry to compete at the main event in October, many skaters have spent 12 hours on a bus to Kimberley in hopes of qualifying. In the end, German transplant Tabo Lochelt took the top spot in the Open Division while Durbanite Jamie De Villiers ended up winning the TopGrom division. 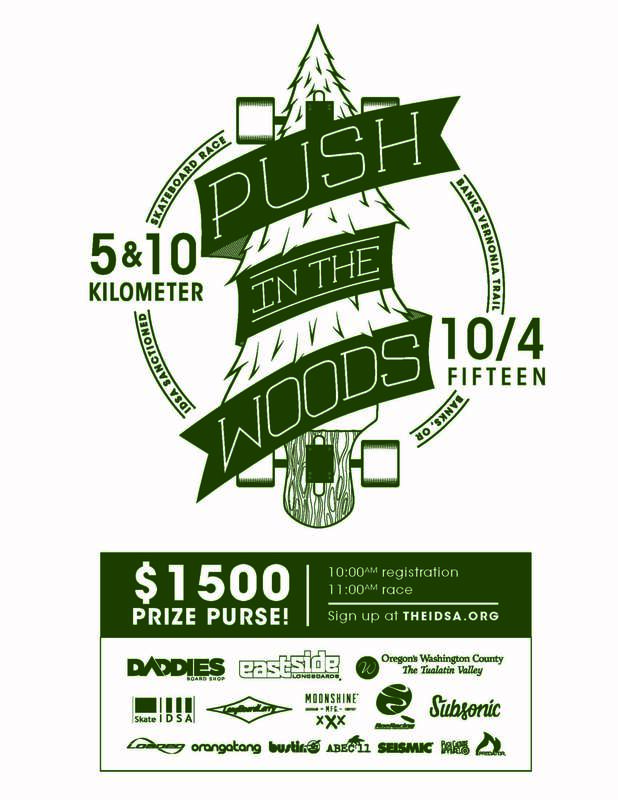 Damian Bramley took his second consecutive Midway Mayhem Vert win and American visitor Jenna Hirt wound up with 1st in Women’s Street. Cape Town boys Team 20SK8 qualified in the Rider Cup division and Bradley Henry took the cash for best trick with a 360 flip to 5050 down the 4 stair hubba ledge. Thanks to everyone who made the weekend possible: Northern Cape Tourism, Kumba Iron Ore, RedBull, DC Shoes, Pragmatics, and Old School Productions. Wake up from camping and straight into a sesh. Cold and convenient, the tents were up and the camping went down at the skatepark all weekend, making Midway Mayhem one of the more fun, personal, and unique events we do all year. 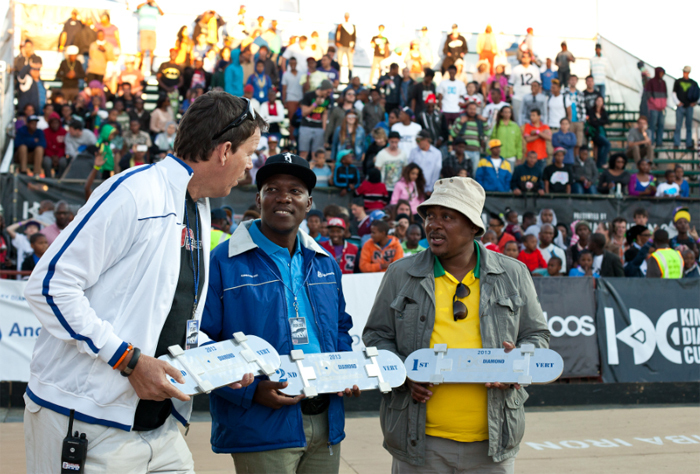 Things kicked off with the Skateboarding For Hope Supported by DC Shoes clinic where we hooked up 10 needy Northern Cape skaters with fresh completes. Kumba Skate Plaza local skater, Mvelo, tests out his new complete. Into the TopGrom division contest. Kimberley local Enrique Ortell flicks a proper one up the Euro gap. Durbanite Jamie De Villiers puts down a feeble grind and into 1st place in the TopGrom division. 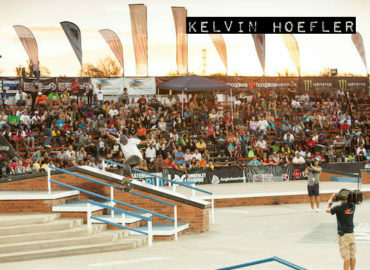 Cape Town ripper Ryan Naidoo nosegrinds the rail for Team 20sk8. Who dat? Cakeboi lightens the mood a bit with the boneless walk down the 4. Young Ethan Cairns puts down a smith grind down the handrail. Ethan was killing it all weekend. Boipelo! The fan favorite. Nollie bs 180. Local youth hip-hop dancers kept the crowd entertained in between contests. Backside blast from Damian Bramley for his 2nd consecutive Midway Mayhem Vert win. Tyler Kammies nailed this one. 360 flip to lipslide. German transplant Tabo Lochelt has been spending time in Johannesburg volunteering and has had no problem making friends and ripping Jozi. Frontside feeble grind to fakie for the win. Casual back smith from Khule Ngubane. Josh Chisholm celebrates his 22nd birthday with a backside tailslide down the rail. Spice rips! Women’s division winners from left to right: Boipelo Awuah (3rd), Natalie Bramley (2nd), and Jenna Hirt (1st). TopGrom div. winners from left to right: Enrique Ortell (2nd), Jamie De Villiers (1st), and Michael Stylianou (3rd). Vert div. winners from left to right: Damian Bramley (1st), Werner du Plessis (3rd), and Graham Denoon (2nd). Open div. 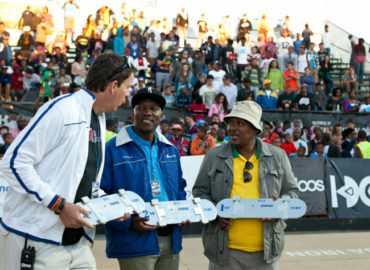 winners from left to right: Khule Ngubane (3rd), Allan Adams (2nd) and Tabo Lochelt (1st). Thanks to everyone that stuck it out in the rain to be a part of another amazing weekend of skateboarding in South Africa! Stay tuned for more from Midway Mayhem here on our site. The post Event Recap: Midway Mayhem 2016 appeared first on Kimberley Diamond Cup.